I haven’t had the opportunity to visit Sea World since I was young, so I decided it was time to take a stroll down memory lane and visit one of my favorite childhood parks. It was definitely a good decision! 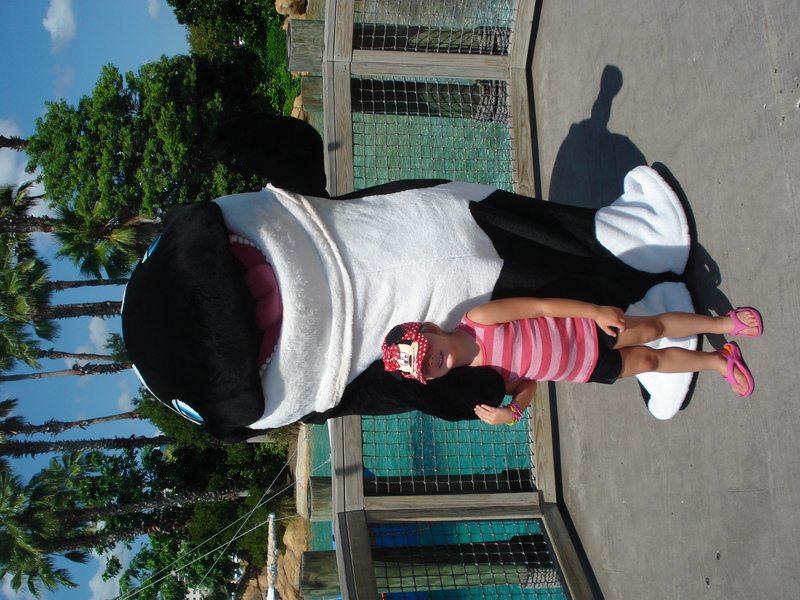 Sea World is a beautiful park that is more of a destination than a place to see a “whale show”! When you arrive at Sea World, the first shocker for me was the photographers jumping in front of you trying to take your photo. I know it is their job, but seriously! If I don’t look interested in stopping, please don’t even try! 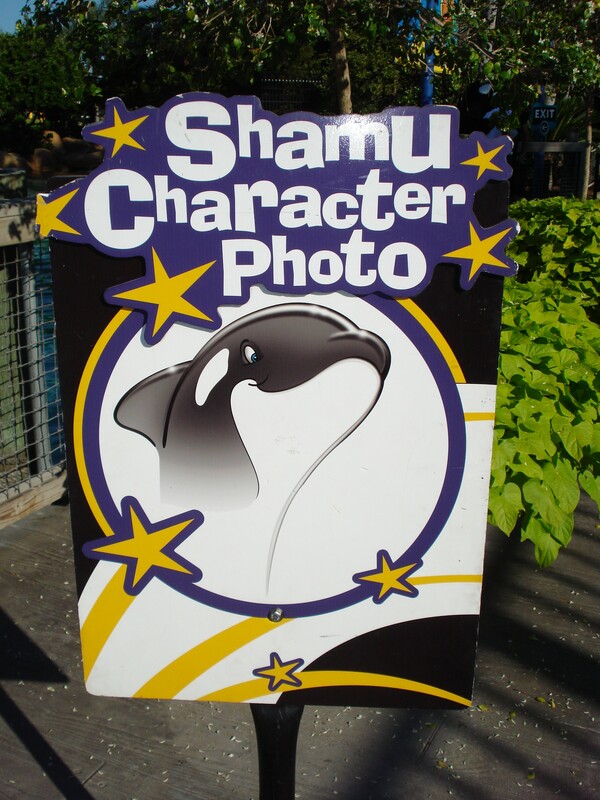 The Shamu character photo op as you enter the park. 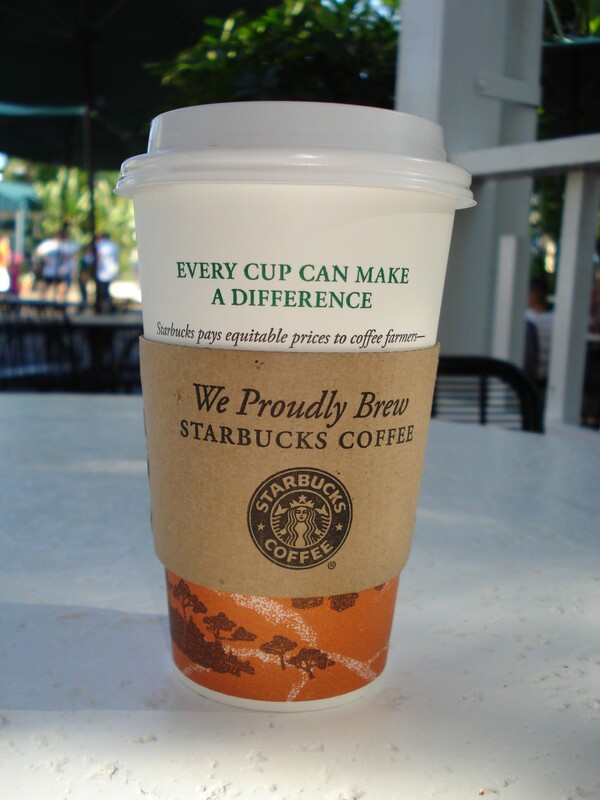 Now for the awesome news….They have a Starbucks in the Park! Now lines in here can be just as long as some of the attractions, but the rides don’t taste this good! 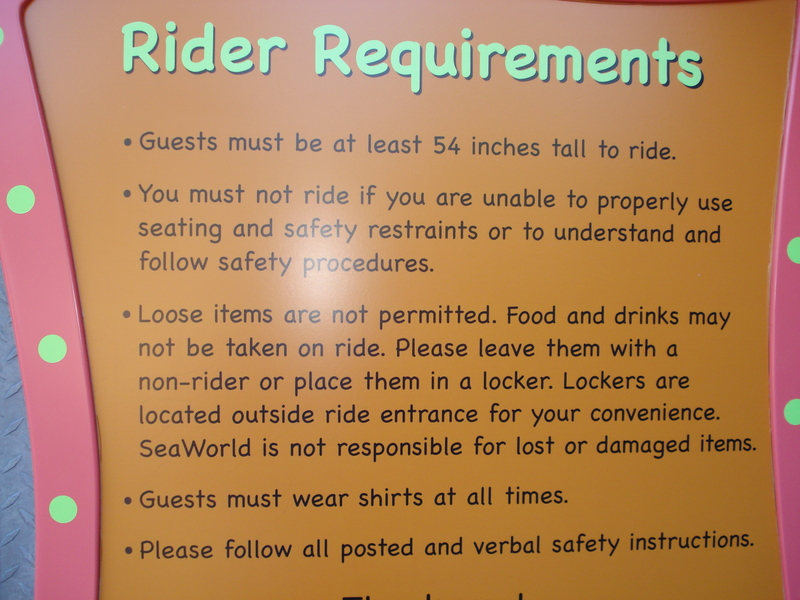 The most important thing to consider while you are at Sea World is their “loose items” policy. Now while you can bring your backpack or purse onto most rides at Walt Disney World, this is DEFINITELY not the case here. They will not allow you on any ride with a “loose item”, but they do provide lockers throughout the park for you leave your items in. For us it was an issue, since we don’t typically use a stroller in smaller parks and I am so used to carrying snacks and drinks in for Zoe. When they mean loose articles, they mean NO LOOSE ARTICLES! The shows are amazing, and you really need to show up about 30 minutes in advance to avoid the “Splash Zones”! Now while there have been a lot of tragedies lately, you can definitely tell that the trainers at Sea World have a true love for what they do and the animals that they work with. 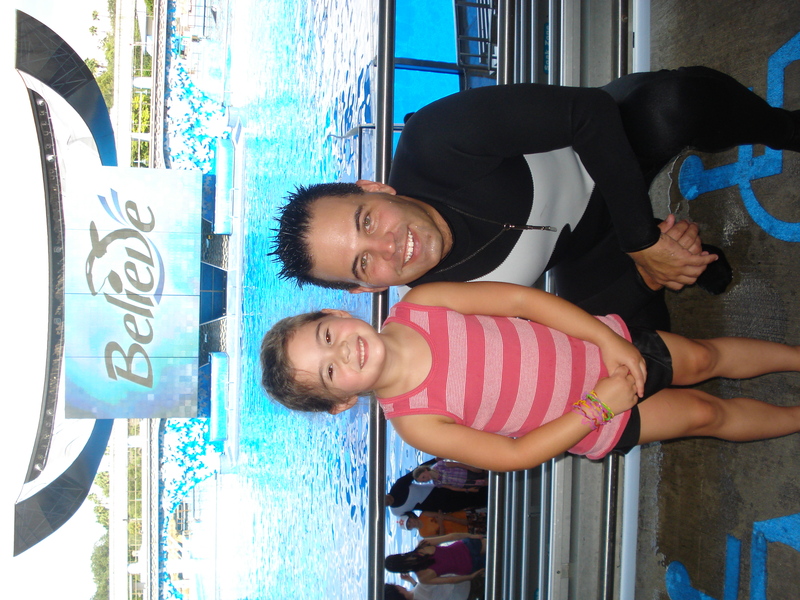 Zoe and one of the trainers from "Believe"
Sea World had definitely earned a spot in our theme park rotation! They offer great & unique animal experiences, have some great coasters, and have show that capture the magic and love that we all have for nature and its inhabitants. If you haven’t considered a visit…you might want to!